Cabinet Components The style and colour of your chosen kitchen and bathroom cabinets are important, but they aren’t the only aspects. 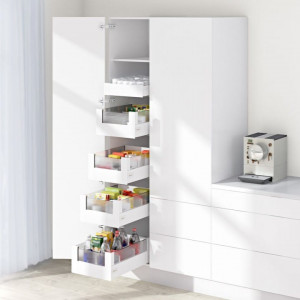 Storage and ease of use and motion, to give you the best experience whenever you open and shut a door or drawer. 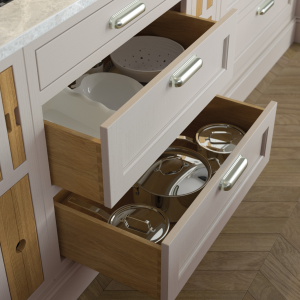 Storage solutions Practical Storage solutions for both your kitchen and bahrooms are available to ensure your cabinets are organised and easy to access. 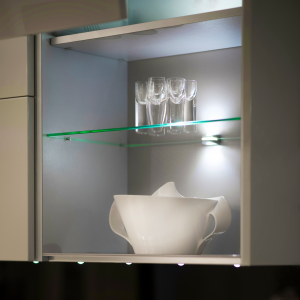 Lighting Enhance your kitchen design with lighting. Lighting and kitchen design go together. Cooking, eating, entertaining and working; there is always something going on in the kitchen. Recycling Bins Adding simple finishing touches to your kitchen or bathroom such as recycling bins helps keep an organised ktichen or simply use them as containers for under sink cleaning products.